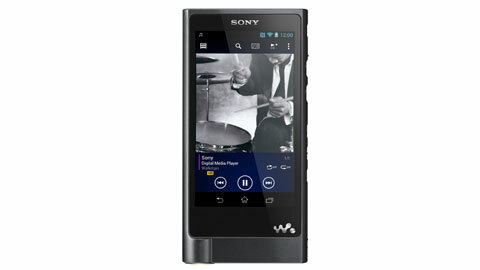 The all-new ZX2 Walkman® digital music player delivers impressive, on the go audio performance. Start with a precision, gold-plated, copper chassis and add high-power circuitry paired to an S-Master® HX digital amplifier and high-output battery, and you can count on sweet, soothing, and natural sound. Beginning with high-efficiency, high-power circuit board, a sophisticated DAC, and a robust S-Master® HX digital amplifier we then layer the Google™ Android™ OS, a vivid TRILUMINOS™ touchscreen LCD and cap it off with a sleek and solid aluminum chassis. The end result is sweet, soothing, and natural sound. That’s quite a music collection…	128 GB1 built-in flash memory allows for up to 2700 Hi-Res tracks (LPCM 1411kbps @ 4 minutes/song). When your collection starts to burst at the seams, you can easily expand memory capacity further using the included microSD slot (up to 256 GB1). 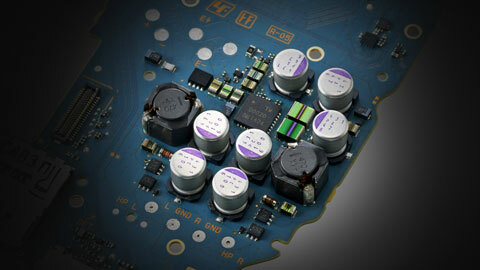 Your Hi-Res favorite tracks, even in DSD! 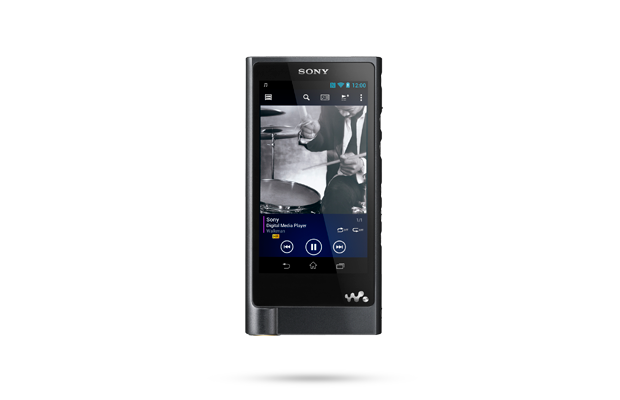 The NWZ-ZX2 broadly supports the playback of a plethora of Hi-Res digital music file formats including: MP3, WMA, WMA lossless, WAV, FLAC, L-PCM, AAC, ALAC, AIFF, DSD, and DSDIFF. For optimized playback, a user-selectable DSD filter allows for refined playback, either a slow roll-off ideal for expressive music and a warmer sound experience or sharp roll-off tailored for energetic music and a fuller sound benefitting from a sharp attack. Enjoy simplified, high-resolution Bluetooth® audio streaming with Sony LDAC codec and Near Field Communications (NFC) technology.3 Simply align your compatible devices via the NFC logos to activate or deactivate pairing and let the magic happen. A gold-plated, copper chassis delivers high-rigidity with low impedance, the ideal base from which to deliver superb audio reproduction. Side-mounted controls allow for natural play/pause and track navigation when stowed in a jacket pocket or even when using the supplied leather carrying case. 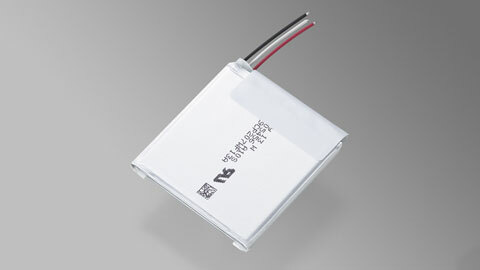 A low-impedance, thick film, copper foil Printed Circuit Board Assembly optimized for superior power delivery, renders an ultra-low noise-floor for enhanced spatial response and tonality-a listening experience that sounds and feels real. S-Master® HX digital amplification circuitry with enhanced power supply and high-power output stage delivers sophisticated and transparent audio reproduction. As is the case with our line of Hi-Res headphone DAC/Amplifiers, dual dedicated clock circuits allow for switching between 44.1kHz (44.1/88.2/176.4kHz, CD/DSD) and 48kHz (48/96/192kHz), depending on music file sampling frequency. The benefit of reducing DA conversion timing inaccuracies is enhanced sound stage integrity and audio response, for superior noise and distortion-free audio reproduction. DSEE HX offers natural sound with a spacious feel by revitalizing the audio signal and also restoring the high frequency sounds stripped by the audio compression process to near hi-resolution sound quality. 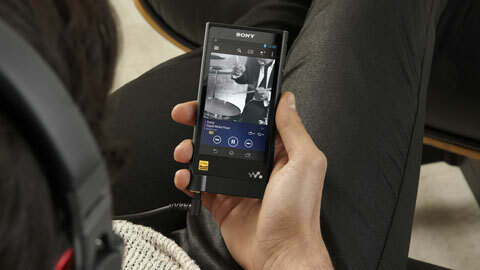 With a Walkman® player, you are never tied to just one music service. Easily drag and drop files from either iTunes® or Windows® Media and enjoy. The 4.0” FWVGA TRILUMINOS™ LCD touchscreen display with OptiContrast panel delivers outstandingly vivid album artwork, photos, and even videos. Not just a familiar face, Google™ Android™ and dual-band Wi-Fi® affords the ZX2 access to: Gmail, Google Search, Google+, Google Play Books, Music, Movies & TV, Games and the Google Play Store. Built-in dual-band Wi-Fi® support also allows users to access and share music stored on other DLNA enabled devices. 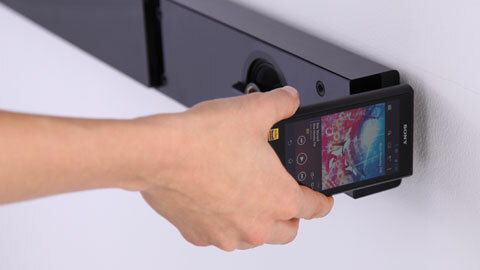 When used with a compatible device, such as a PHA-3 Headphone DAC/Amplifier, pairing the two using the USB Digital output can result in lossless interconnectivity and a purer listening experience.